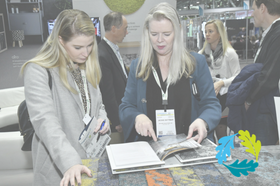 Have you heard of the Greenbuild International Conference and Expo? It’s the largest conference on sustainability in the built environment, meant for professionals who depend on ethical solutions which promote wellness and resiliency. Does this sound up your alley? Do you want to return to your office with the latest resources and information? Then we hope to see you there! We’re honored to be a sector partner at Greenbuild this year, and are offering complimentary expo hall passes. Use our code REGIONALGB18V2 at registration to claim your complimentary expo hall pass. The mindful MATERIALS Pavilion is a new area in the expo hall. Greenbuild is shining a light on materials transparency and product certification in this all-new pavilion. Discover three days of sessions, strategically planned to educate, motivate, and inspire participants. This year, Greenbuild added “The People’s Voice” alongside tracks such as Approaching Zero, Zeroing In, and Built to Perform. Journey Maps are a new way for you to explore the event and find the topics that matter most to you. Journey Maps include education sessions, distinctive products, solutions and technology, and experiential learning opportunities. Learn more about why you should attend, and then register for a four-day or three-day conference pass. Remember to use code REGIONALGB18V2 at registration to claim your complimentary expo hall pass, on us. See you at Greenbuild!